So, are you ready for change? 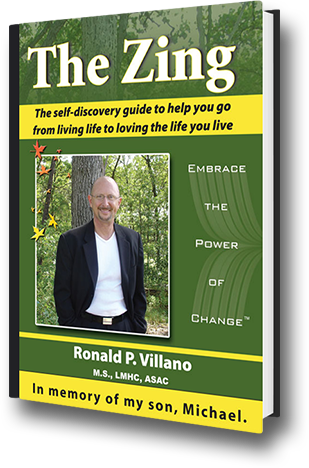 Find out what Ron Villano M.S., LMHC, ASAC, CCH learned in his walk from the depths of darkness back into loving life once again. Make this must-read book the one you talk about for the rest of your life. Available in audiobook, e-book, or paperback.